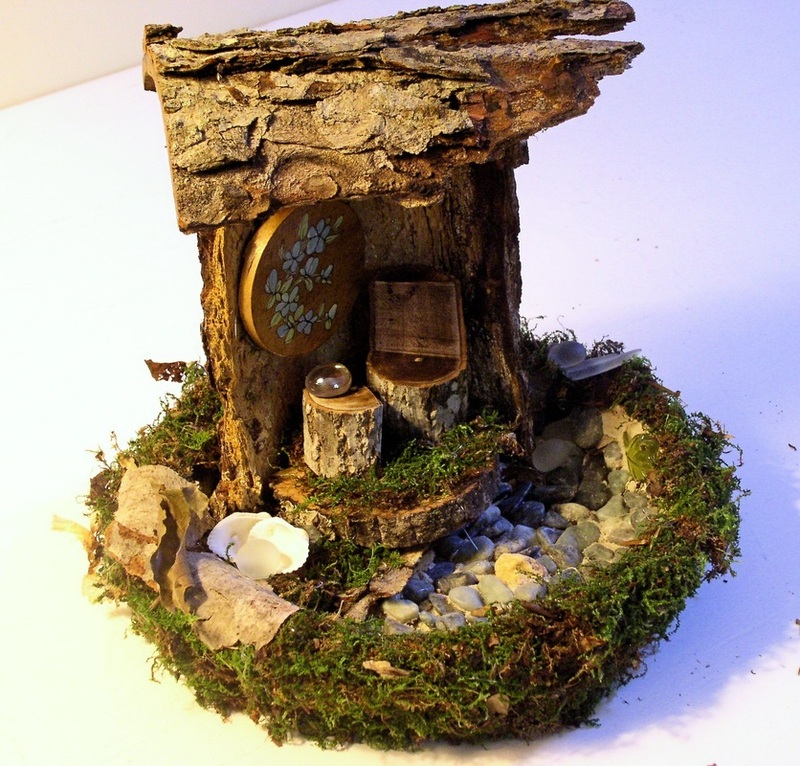 SOLD Handmade Woodland Fairy House Sculpted Nature Art One of a Kind Fairy Lean Too. 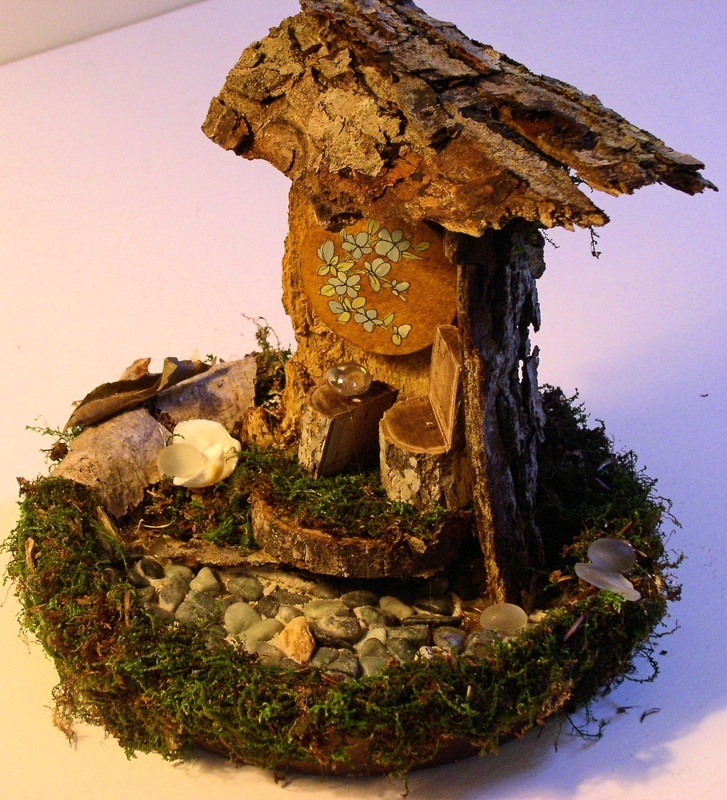 SOLD - Woodland fairy house is made from a nature sculpted one of a kind art. 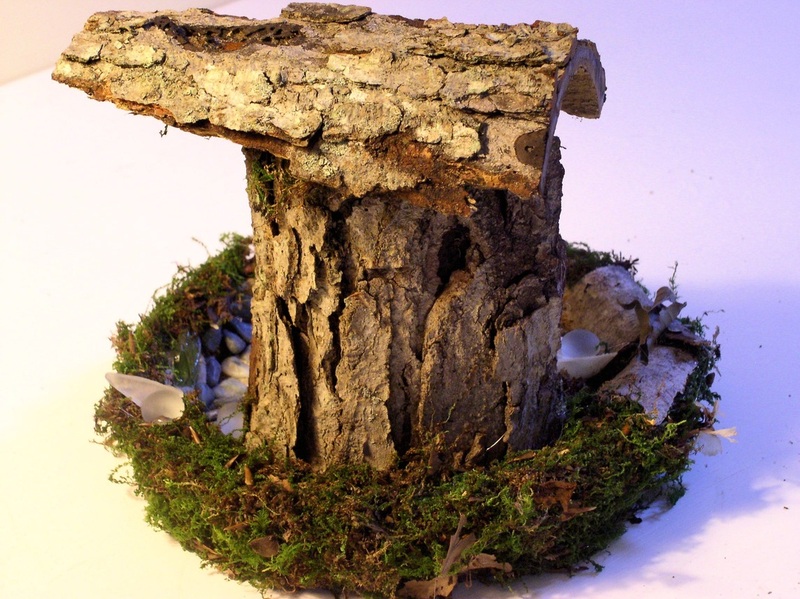 This is a woodland fairy house handmade by Laurie Rohner and called 'Lean Too'.A wood dish inspired this humble magical woodland fairy house. Adhered to the bottom of the wood dish are pebbles and moss covers the side. 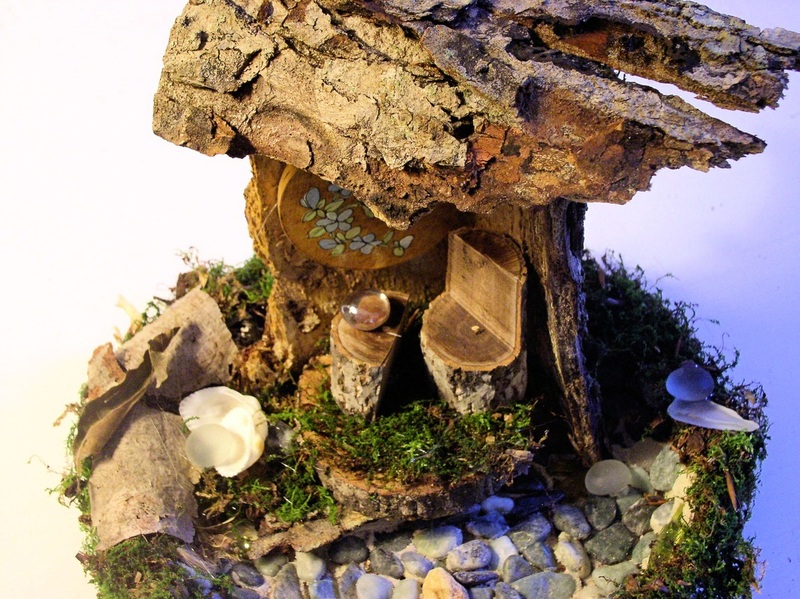 The structure of the fairy house is from the bark of a tree I found (very interesting shape). The chair and little branch table sit on a wood slab and just above the chair is a wood original painting of forget-me-nots. Sitting on the table is a gazing ball for a mystical fairy. Imagine the lean too is sitting by a brook or stream and there is water trickling by. I think this would be fabulous next to a fountain in the home or in the garden. Measures:8" high and 8" dia. I ship everywhere via USPS Priority or First Class Mail.